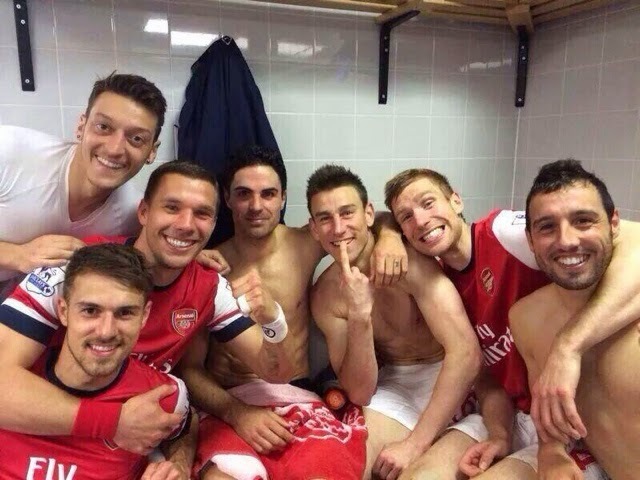 Great team win for Arsenal FC against Hull FC on Sunday. And the team pose for a photo all grinning like Cheshire cats to take the piss out of Arteta who had a front tooth knocked out during the game. Bless.